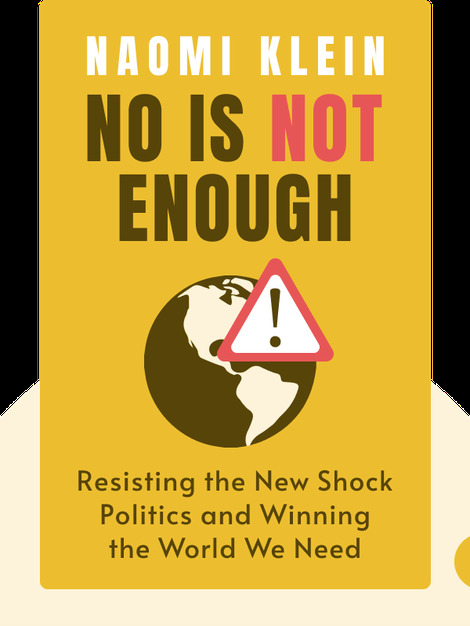 No Is Not Enough (2017) offers a critical account of Trump’s first months in the Oval Office, reflecting on how he got there and what we should expect from him. At the heart of this account is not only an unmasking of Trump’s routine shock tactics, but also advice on how we can resist and forge a better tomorrow. 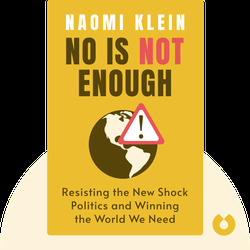 Naomi Klein is a renowned and award-winning author, journalist and filmmaker. Her books include the international bestsellers No Logo: Taking Aim at the Brand Bullies, The Shock Doctrine and This Changes Everything. Klein’s writing can also be found in publications such as the Intercept, the New York Times, Le Monde and the Guardian.